The journey of the Orthodox Church in Uganda interestingly begins by the Holy Spirit who blows whenever and wherever He wants. This mysterious Orthodox phenomenon in Uganda was not through proselytism. It was not through indoctrination. It was not through Missionary propagation of faith from outside. It germinated by itself by the will of the Creator of all things visible and invisible. It started amidst difficulties and impediments which the pioneers met along the journey as they slowly progressed. Led by curiosity, anxiety and vigor, the indigenous Ugandans were steadfast in their resolve: to abandon the faiths they had doubted and failed to understand. They continued their survey reading from an English lexicon the search for truth and reality. At last they shouted loud and clear that; “ Look, We have found (by the Holy Spirit) what we wanted to know all the time, EUREKA!” . Word of good news instantly spread among other companions who also enthusiastically joined in and formed the group of ANOONYA (Mt.7:8, Lk.11:9). 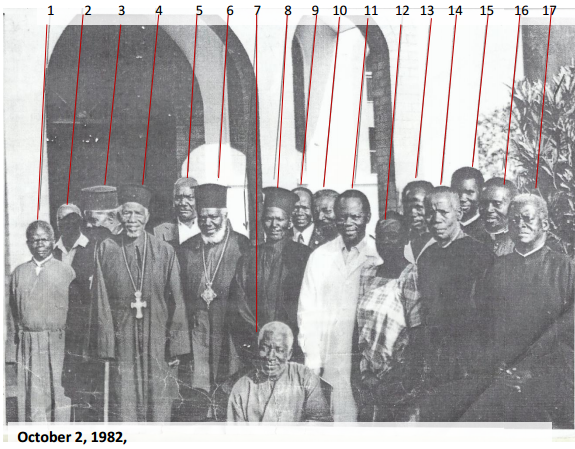 That was the beginning of the Orthodox Church in Uganda between 1919 – 1929. Enquiries and references were later made from the Greeks of the time. The Greeks doubted if the native Ugandans were able to preserve and conserve the Orthodox Faith according to renowned strict tradition and ethos of the Eastern Orthodox Church! The necessary information about the source of Orthodoxy was later given to the founders of “the African Orthodox Church”. It was through a baptism of one Greek child that influenced the African Orthodox members to seek for the genuine Orthodox Faith in Alexandria. Archimandrite Nicodemus Sarikas who was by then commissioned by the Patriarchate of Alexandria to serve the spiritual needs of Greeks in Africa was approached by the Anoonya group. These gave him (Archim.Nicodemus Sarikas), a letter to forward to the Greek Orthodox Patriarchate in Alexandria attention of Patriarch Meletios whose specific instruction was a) to make a fact finding mission how the African Orthodox Church was on the ground and b) to witness the Greek community in Uganda in 1933. This Orthodox Church in Uganda is some how like a mother of the Orthodox Church in Kenya and Tanzania. Ugandan priests and catechists started evangelism work in the country from Buganda to the Northern, Eastern regions and beyond in Kenya. In 1936, Patriarch Nicholas V ascended the Patriarchal throne of Alexandria but short lived and in 1939, he was called unto the Lord and was succeeded by Patriarch Christopheros II. Christopheros II was more dynamic and mission- oriented and in the same year called for the 2 Ugandan youths who were in Arusha, Tanganyika : Ermolaos Seddimbu and Irineos Magimbi to go to Alexandria to learn Greek and Orthodoxy. In 1942, Patriarch Christopheros II sent Metropolitan Nicholas of Axum as his envoy to East Africa to assist the neophyte African Orthodox Church. In 1945, 4 young men namely: Theodoros Nankyama, Dimitrios Mumbale, George Lubulwa, and Elias Katumba, were sent to Egypt. In the following year 1946, Rev. Fr. Reuben Sparta Mukasa Sebbanja was invited by the Greek Patriarchate of Alexandria to visit Egypt. The African Orthodox Church was officially recognized by the Patriarchate of Alexandria under the name “ African Greek Orthodox Church”. Ireneos and Ermolaos returned to Uganda in 1946. In 1949 10 young men were also sent to Alexandria for encyclical studies including priesthood. In 1959, Rev. Fr. 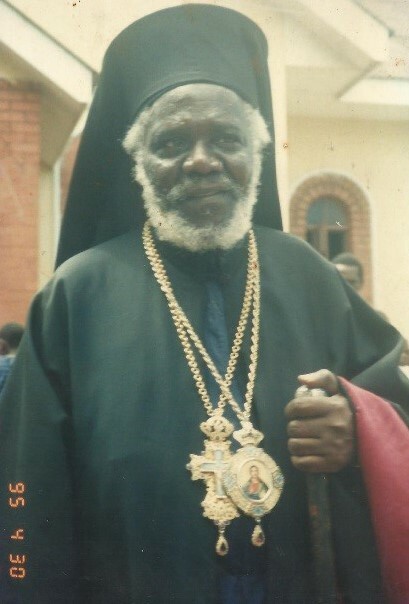 Spartas visited Greece and in the same year Metropolitan Nicholas Galyasatos was made Metropolitan of Irinoupolis (Dar es Salaam) but he chose Kampala to be his seat. After the falling asleep unto the Lord of Patriarch Christopheros II, Metropolitan Nicholas VI became the Patriarch of Alexandria and he was succeeded by Metropolitam Nicodemos. In 1972, Frumendios became Metropolitan of Irinoupolis; and on the 17th of December, 1972, Rev. Fr. Christopheros Reuben Spartas Sebbanja was consecrated bishop for Uganda with a title of NILOUPOLIS, and on the 22nd of December, 1972, Rev. Fr. Theodoros Nankyama was consecrated bishop with the title of NAVCRATIS. In the proceeding year 25th February, 1973, Rev. Fr. George Arthur Gathuna was also consecrated Bishop with the title of NITRIAS. After the departure of Archbishop Frumentios to the Lord, Bishop Anastasios Yannoulatos was sent to East Africa by Patriarch Nicholas VI as an acting Archbishop. One of his greatest contributions was to open up the Archbishop Makarios II, Patriarchal Seminary in Riruta, Nairobi, Kenya. The Seminary was built by Archbishop Makarios II of Cyprus. In the course of 10 years, Bishop Anastasios ordained over 100 priests in Kenya, Uganda, and Tanzania. In 1990, he was transferred to Albania. Metropolitan Petros (who later became Patriarch of Alexandria) and Metropolitan Irineos served for a short time as Archbishops of the Holy Metropolis of Irinoupolis. In 1995, the Holy Metropolis of Irinoupolis (East Africa), was divided into 3 metropolies, namely: Metropolis of Irinoupolis, Metropolis of All Kenya, and Metropolis of Kampala and All Uganda. The long serving missionary in Kenya from 1980, Andreas Tyrilidis, after serving as Metropolitan in Zambia became the Metropolitan of All Kenya, and Bishop Theodoros Nankyama, the Metropolitan of Uganda in 1995. 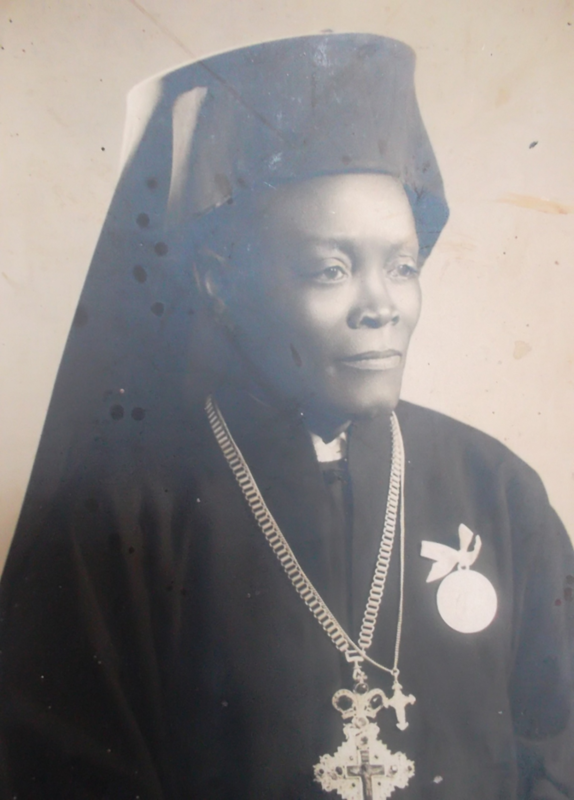 Bishop Jonah Lwanga from the Bishopric of Bukoba, Tanzania, was transferred to Uganda as Metropolitan of Kampala and All Uganda after the falling asleep of Metropolitan Theodoros in 1997. After the transfer of Bishop Jonah Lwanga to Uganda, Rev. Fr. Jeronymos Muzeeyi was made Bishop of Bukoba and in 2007, the same bishop was made Metropolitan of Mwanza, Tanzania. In 2012, Burundi and Rwanda were made one bishopric and added to the Missions and Archimandrite Innocentios Byakatonda, was made a Bishop. The Apostolic Succession continues but still with difficulties. Founder : Sudanese School Bombo 1924. “Despite all this, I found time for meditation daily. It was an attempt on my part to try to discover the true Church-Ecclesia. The Church of one flock, one shepherd, and one Lord. I had had a chance when I was working at the Library of Bishop Tucker College – under E.S.Daniel (Archdeacon) at Mukono – to read the Church History and come across a passage which says: The Church of Truth which has never deviated from Christ and his disciples is called ORTHODOX….” Autobiography, pp 11 (1998) IRENE NABITAKA. On the Orthodoxy of this Community, special and official pronouncements were made 06.01.1929. He was one of the first students of the pioneers of Orthodoxy in Uganda. First gramophone and translator of many texts and homilies/speeches (of Greek Metropolitans) in main Luganda, dialect of Uganda. Fluently he spoke Greek and discussed many theological issues. He was functional, patient, and studious. He studied the philosophical issues and taught Ethics as a subject in the Central High School, Kampala (1950- 970). Many of us learned from him the Greek letters. Solidification of Orthodoxy in Uganda. He was born on 03.03.1924 from Protestant family, at the village of Monde Tweyanze. His father was the late Julius SEKAYI and mother the late Julian NABBOWA. He converted to the Orthodox Faith in 1938-1944 when he studied in the Orthodox schools, at DEGEYA and NAMUNGOONA centres. 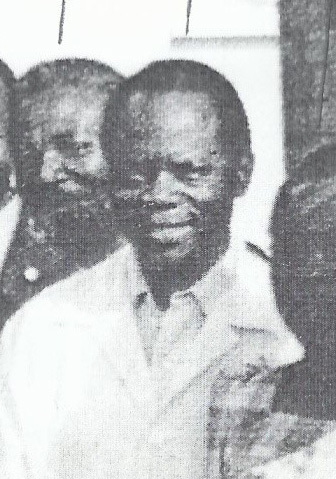 He was sent to Egypt, by the Orthodox Community in Uganda (1945) for further training together with three colleagues: Dimitrios MUMBALE, Elias KATUMBA and George LUBUULWA. When he completed the High School in the Greek Orthodox Patriarchate of Alexandria, then he went to Athens, Greece to study Theology (1954-1959) and serve the Church. His three colleagues studied Medicine in the University of Athens. NANKYAMA attempted to specialize in Sociology, in Germany and England (1959-1961). Eventually, he came back in the Patriarchate, was ordained as Deacon (21.05.1961) and priest (28.05.1961) by the then Metropolitan Nicholas Valleropoulos of East Africa. He returned to Uganda in the same year, served as priest and headteacher (Chwa II Memorial College) till his elevation to the rank of Bishop of Navcratis by the Holy Synod (22.12.1972). Theodoros NANKYAMA served the Uganda Orthodox Church and the Greek Patriarchate of Alexandria during the most difficult period of time.. The Holy Synod promoted Bishop Theodoros to a Metropolitan of Kampala and All Uganda in 1995 and fell asleep in the Lord on 17.01.1997. 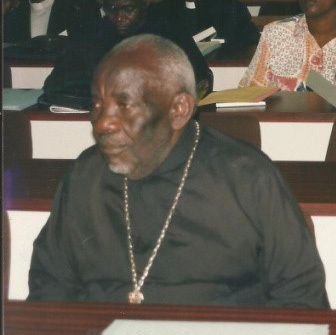 He belonged to the second generation of students of the pioneers of Orthodoxy in Uganda, with the late Bishop Theodore NANKYAMA.Instead of studying theology he was trained as best physician at the University of Athens, and on his return from Greece took enthusiastically the treatment sector in the area of Mission centered at the Holy Cross in the Archdiocese. He created other dispensaries in different parishes. He believed that good health is integral to good and true faith. He worked with self denial all of his life in Uganda (1967-1990).